As senior vice president of human resources for Hunt Consolidated, Inc., Paul Hoffman is responsible for providing a full range of human resources support to the diversified set of Hunt companies. He joined the organization in 2003 as director of human resources for Hunt Oil Company. 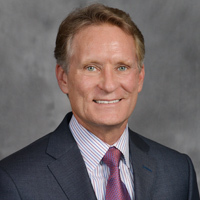 Prior to joining Hunt, Hoffman was division vice president of human resources for Dynegy, Inc., where he managed the human resources function for the marketing and trading division. He began his career with Illinois Power Company, where he served for 18 years in various operations and human resources roles. He served as vice president in human resources prior to Illinois Power's merger with Dynegy. Hoffman is a member of the Society for Human Resources Management. He is a business graduate from Eastern Illinois University and holds an MBA from Arizona State University.